Home > Vertex42 Blog > News and Updates > New Microsoft Templates Site – Is it a Template Store? 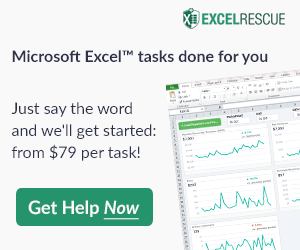 Today I was fixing some links on my site and found that Microsoft has created a new site for listing their templates for Word, PowerPoint, and Excel. Update 8/14/2017: About 3 years after writing this post, the "store" link above no longer functions so Microsoft clearly decided to go a different direction than selling templates from their website. The Microsoft templates site can be found at https://templates.office.com. I tried to find out what I could about the store site, but so far nada. Not even anything in the forums or Office Blogs that I can tell. But, maybe I need to spend longer than an hour looking. Is it Really a "Store"? What is interesting to me, besides it being very well designed and easy to browse with some interesting new templates, is the fact that it is hosted on store.office.live.com and currently all the templates are listed as FREE. Do you think this means that eventually there will be templates that can be purchased from the store? I've pitched the idea of a "Template Store" to Microsoft before, so this really intrigues me. It would be great if Microsoft could allow other template developers (like Vertex42) to offer professionally designed templates from an online store, just like they do with Office Apps. I will update this post as I learn more about this, or if I find links to any press releases about this new site. According to the WayBack Machine (web.archive.org), the new templates site has existed since at least March 22, 2014. Anyone else have any news about this? Looks fun but it’s only office online… I really don’t like that. Right … it does look like you need to first open it in the online Excel (or Word) app, but the file gets saved to OneDrive and can then be downloaded to your computer and opened in Excel 2010 or whatever. I would prefer that they let you download the file first and then choose whether to upload to OneDrive. But, perhaps they are trying to get people to use OneDrive more. I tried getting a template when not logged in to see if you can download the file instead of opening in the online app, but it asks you to sign in. I definitely think that MS should allow templates to be sold in their store. They really need to do everything they can to increase their software ‘eco’ system. I don’t see this as being a significant revenue generator for MS, it still would generate more interest/traffic in people who build templates to sell them via the store. It’s their way of pushing Office 365. They aren’t going to give up that push even though it doesn’t fit for everyone. I agree with Jason, they are pushing Office 365. I don’t think they would convert it in a “store” but instead they are transitioning the old Office.com templates website into a new templates website that automatically open the free templates in PowerPoint online. Besides of this, I am wondering if this new store or gallery has the ability to open external URLs as a PowerPoint presentation. Anybody knows about it? (for now I could see there is a templateid parameter passed in the URL but nothing is documented about opening external files yet). Excel Sales Invoice template worked well and looks professional. It’s nice to be able to get something of value for FREE. Completely agree with the “template store” idea Jon. I see lots of experts are developing really cool templates but since there is not a marketplace, everybody is trying to promote their products on their own efforts. This is also a burden for customers who need quality office templates. A marketplace similar to Apple Appstore would be really beneficial for both customers and developers. This will also help Microsoft to increase their own software sales. I don’t know why they don’t do this. @Onur, I’ve thought of creating a new marketplace specifically for template developers. There have already been many attempts by various people. Something I’d like to see is a site that only lists the template description and screenshots and links back to the original site for download rather than providing the actual download. The reason is that I don’t benefit at all when some other website hosts my files (which is why I don’t allow that). If a site required the files to be hosted, I’d like to see a system similar to what OpenOffice does which is to allow each file to have a link to the individual license agreement. There would also need to be a strict review of every individual template and author to avoid copyright infringements being added to the marketplace (which is what happens too often). An organization for template developers would be great, and I’d be happy to be a part of that.